Among the security flaws in question is one reported on last week, where a little bit of manual dexterity lets you bypass the lock code on the homescreen. Version 7.0.2 also patches another bug, which allowed a user to make phone calls to any number from the Emergency call screen. In addition, the update brings back a Greek keyboard option for passcode entry. 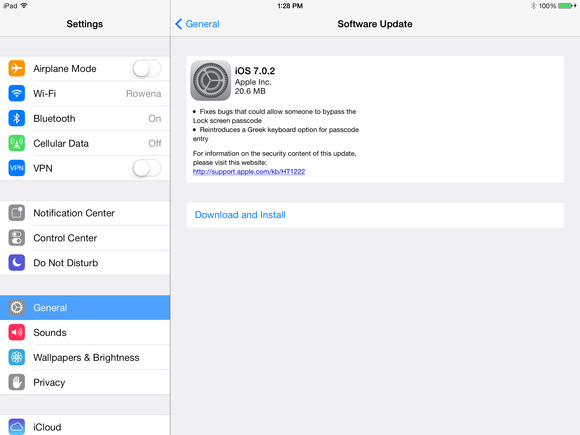 iOS 7.0.2 is a free download and is available by going to Settings > General > Software Update on your iOS device, or—if you prefer the old-school method—connecting your device to iTunes and clicking Check for Updates.